There’s something to be said for a fighter truly being ready for a title fight. 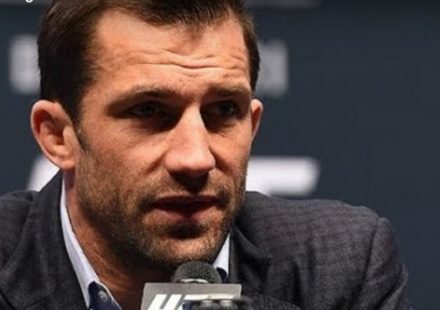 So many times newcomers to the UFC on day one are already talking about blazing a path to the title, without ever mentioning things like experience, taking time to work into the top ten, or the amount of fighters that come and go without ever actually fighting for a belt in the Octagon. There’s also the fact that title shots don’t come around everyday, and no one should waste an opportunity like that when it comes along. There is a laundry list of fighters who got one shot at a UFC title, and never ever reached that pinnacle again. It’s with good reason then that UFC on Fuel 3 headliner Dustin Poirier was taking his time as he progressed through the featherweight division, and didn’t start calling out champion Jose Aldo after one fight at 145 pounds. Poirier made the unexpected announcement when his name started getting bounced around in title talk discussions that he wanted to take his time, and needed another win or two before he was ready to enter that fray. 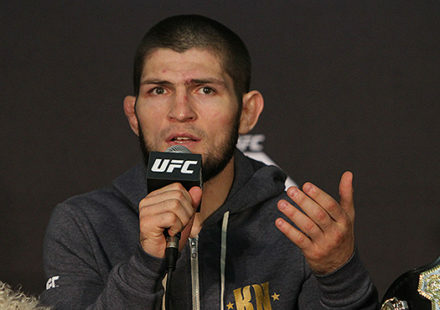 He admits that he’s watched past fighters make that mistake of jumping into a title fight before they are truly ready, and when he gets his crack at the UFC featherweight title, he plans on making the most of it. “Sometimes I think about it. Like, just a couple fights ago if I had said I’m finishing fights, and I’m beating good guys; I want a title shot. I could have said that after I beat Pablo Garza. I just want to learn and be ready. When it’s my time to fight for the belt, I want to be ready. 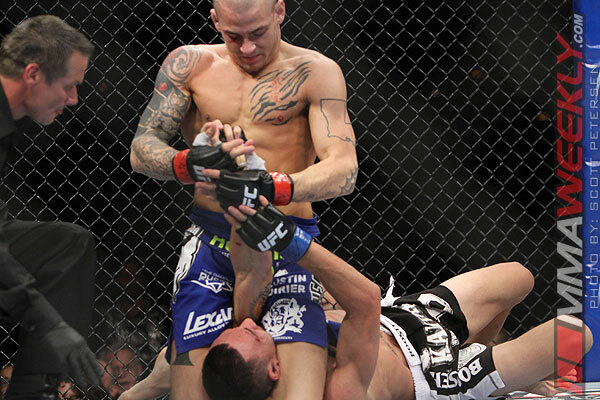 I want to take full advantage it,” Poirier told MMAWeekly Radio. Taking full advantage of the situation he’s in is a big reason why Poirier was looking at his last fight against newcomer Max Holloway as just as tough of a fight as facing any top ten fighter in the world. “It’s dangerous sometimes. What if one of those knees or punches would have slipped through and caught me on the chin when I fought a new guy like Max Holloway? Some fights are dangerous. The media might have built it like that, the guy didn’t have a bunch of fights, nobody knew who he was, but I knew he was dangerous and I knew he was hungry,” said Poirier. The learning curve that Poirier set for himself was pretty steep, but he’s starting to feel like he’s ready to graduate and a title shot could be looming in the near future. 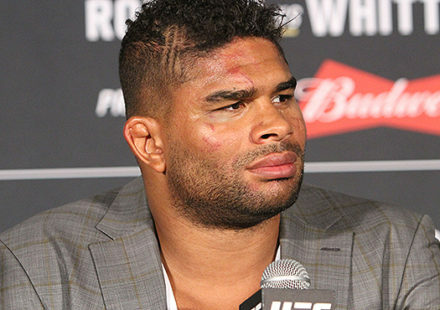 “I definitely feel like I’m becoming myself inside the Octagon. I think the UFC likes it. 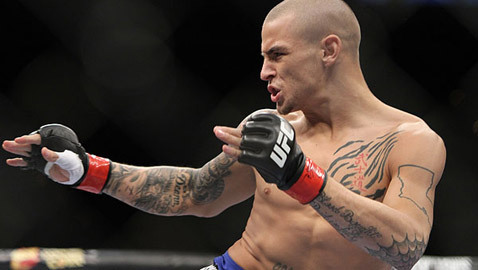 I don’t feel the pressure as much, I feel like I belong there now,” Poirier admitted. So as he steps into his first main event under the UFC banner at UFC on Fuel TV 3 next week in Virginia, where he faces the ultra tough Chan Sung Jung, Poirier is starting to see a golden light at the end of the tunnel. He’s adjusted to the media requirements that are necessary for any fighter at the top of the sport. He’s training every day like a champion would train. He’s showing off his improving skills in each fight he has in the Octagon. If things go right for him against the Korean Zombie at UFC on Fuel 3, it might just be time for Dustin “The Diamond” Poirier to shine and step into a title fight.